This weekend, the Themed Entertainment Association (TEA) awarded the recipients of the Thea awards, referred to as the Oscars for the entertainment industry, during the Thea awards ceremony in Disneyland Anaheim. The dark ride experience in Legendia theme park, named Bazyliszek, was awarded with a Thea award in the category “Outstanding Achievement - Limited Budget”. Click to learn more. Read more about the new experience we created for Hameau Dubœuf in France. Hameau Dubœuf, Europe’s largest wine museum & theme park, has contracted experience design & build company Jora Vision to create a new immersive attraction. The park, situated in the heart of the famous Beaujolais wine region in Romanèche-Thorins, France, has been entertaining guests for decades. Click to learn more. 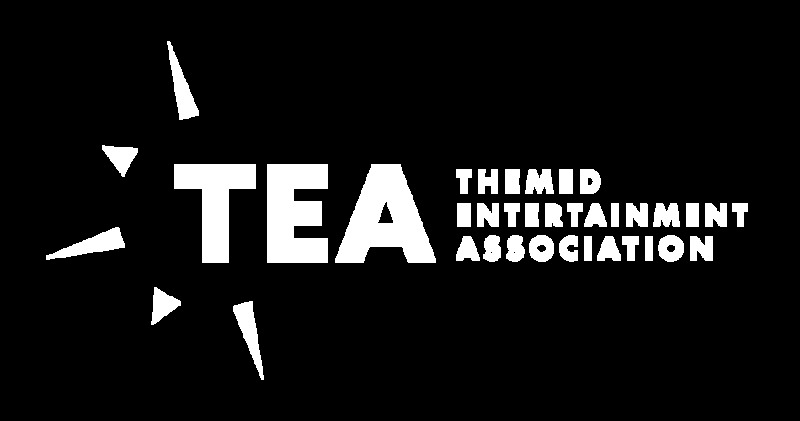 On November 13th, the Themed Entertainment Association (TEA) announced the recipients of the Thea awards, referred to as the oscars for the entertainment industry, during the IAAPA in Orlando. The recently opened dark ride experience in Legendia theme park, named Bazyliszek, was announced as recipient of a “Thea” in the category “Outstanding Achievement - Limited Budget”. Being the 5th Thea award for a project (co)created by Jora Vision, the company establishes itself as one of the creative market leaders in creating experiences, dark rides and attractions. Click to learn more. We are pleased to announce no less than five awards have been received for the Basilisk interactive dark ride. The popular family ride, created by Alterface, Jora Vision and ETF Ride Systems, opened last Spring at the Legendia regional theme park in Poland. Click to learn more. Recently, Alterface created a new thrilling interactive attraction for Jardin d’Acclimatation: the Kinetorium. Jora Vision was commissioned to design and build theming for the queue, pre-show and main theatre. Click here to read more. As part of a multi-year master plan and a €100m investment, Compagnie des Alpes is re-imagining its Belgian Walibi theme park as a collection of “worlds”, each with an immersive theme for its landscaping, attractions, restaurants, and shops. The first of these zones, which will reinforce existing themes and introduce new ones, is Exotic World, featuring a South Seas theme. Jora Vision was commissioned to bring this design to life. Click to read more. On May 17, Young Rembrandt Studio opened its doors in a very special location. Langebrug 89 is a the cosy 17th-century dwelling where Rembrandt received his first painting lessons from his mentor, Jacob van Swanenburg. This listed building now houses a unique stop in the “In the Footsteps of the Young Rembrandt”, a walking tour through the city of Leiden. Click to learn more. Alterface, Jora Vision and ETF have joined forces to build a next-generation dark ride in Poland. The new attraction Basilisk, or Bazyliszek in Polish, opened this spring as part of the recently rebranded Legendia theme park, which now includes five themed zones. Click to learn more. Jora Vision, a leading design and production company of themed attractions, is currently designing an indoor pirates-themed experience for Amikoo theme park adjacent to Cancún, Mexico, Latin America’s largest leisure development. Click to learn more. Legendary Trunks — The Exhibition has opened in Amsterdam's monumental Beurs van Berlage. Jora Vision was responsible for design and production of this new exhibition. Click to learn more. Naturalis Biodiversity Center in Leiden is hosting “GIF!”, a traveling exhibition about venomous animals and poisonous plants designed and build by Jora Vision. Click to learn more. Recently Jora Vision designed the refurbishment of Walibi Belgium’s Aqualibi. The water park is about to go through a major transformation. Click to learn more. Jora Vision, a globally active experience design and production agency, has announced the appointment of Dr. Pieter C.M. Cornelis as its Project Strategy Director. In this role, Pieter will serve as a consultant for theme parks, zoos and other family leisure destinations, on the subject of attraction investments and economics as as well as strategic master planning. Click to learn more. Jora Vision creates "Serengeti Interactives"
Jora Vision and Serengeti-Park Hodenhagen revolutionize zoo visitor experience by introducing “Serengeti Interactives”, Click to learn more. The past couple of years, Jora Vision has been involved in Dark Ride projects all around the world. Click to learn more about these projects.